A beautiful, functional, healthy smile is something we all deserve. 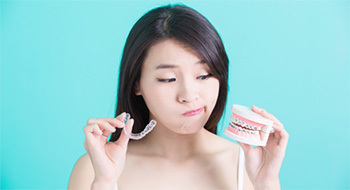 Unfortunately, many of us aren’t born with perfectly aligned teeth, and these alignment issues can lead to a less-than-perfect appearance as well as concerns with the function of your bite. In the past, patients had to rely on traditional bracket and wire orthodontic methods to improve the alignment of their teeth. Today, there are numerous orthodontic treatment options to meet any need, budget, or lifestyle. 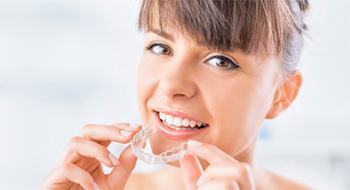 Clear alignment tray orthodontic systems, like Invisalign, have become very popular due to their more natural appearance and minimized hassle compared with other orthodontic solutions. Before beginning a complex orthodontic plan, your Littleton dentist and team at Blue Sage Dental will take the time to discuss every aspect of treatment to ensure you find the right option. Cost is one aspect of treatment with Invisalign that many people don’t know much about. On this page, we’ll run through some of the basic information about pricing for alignment tray braces, and during an Invisalign consultation, we can give you more specific price estimates. If you want to find out more about your personalized Invisalign treatment plan, call to schedule your consultation in our Littleton dental office today. In most cases, you will pay about the same amount for traditional braces that you would for Invisalign orthodontics. When this treatment option first become available, it was a bit pricier and it wasn’t covered by most dental benefit plans. 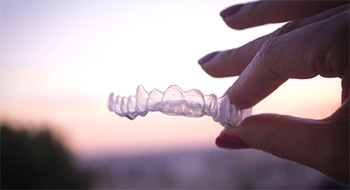 Today, most Invisalign treatments only cost $250 to $1000 more than a comparable traditional braces treatment plan. Does My Insurance Cover Invisalign Clear Braces? In most cases, dental insurers who cover traditional braces will now cover Invisalign at the same rate. This means you’ll be able to take advantage of your available dental insurance benefits no matter which orthodontic treatment you choose. Save time – fewer, shorter office visits and abbreviated overall treatment time make Invisalign a great option for people with busy schedules. 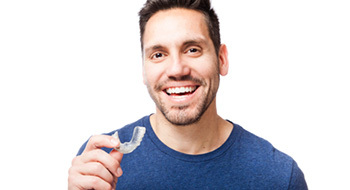 Look great – throughout treatment, your Invisalign trays will be working to correct your bite alignment, but all you’ll see is a beautiful smile. Skip the hassle – traditional bracket and wire braces are difficult to clean, require changes to your diet, and take up hours visiting the orthodontist. Invisalign trays are easy to clean, don’t impact your diet at all, and only require short checkup visits in our Littleton dental office every six to eight weeks.